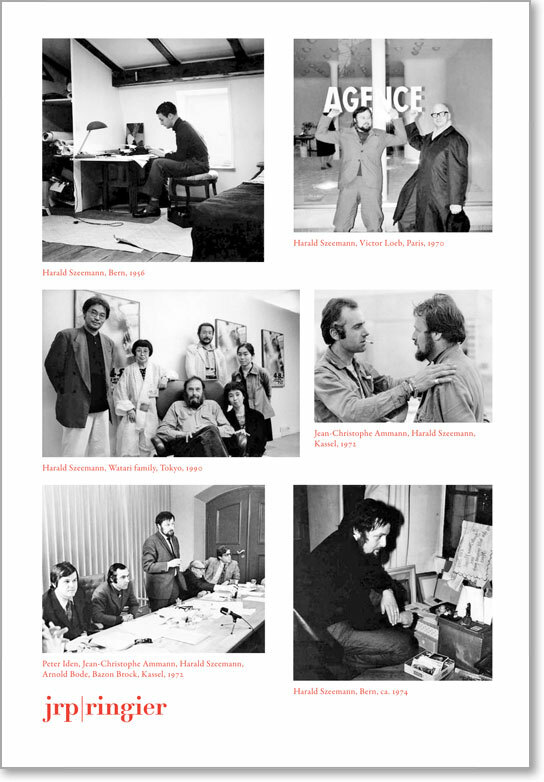 Harald Szeemann (1933-2005) is without doubt one of the most authoritative figures of contemporary curatorial practice. He has played a considerable role in the development of exhibition curating since the 1960s, and almost all art-historical books refer to When Attitudes Become Form (1969). Neither a biography nor a compilation of his projects, this publication, thanks to priveleged access to the archives of the Fabbrica rosa, hopes to shed light on Szeemann's curatorial methodology. Presenting numerous previously unpublished documents, as well as interviews with the close collaborators of this "exhibition maker," as he often referred to himself, the authors explore the structures and tools of his trade (his archives and his Agency, in particular), that allowed his practice to develop, and focus on two manifestations, realized 25 years apart, documenta 5 (1972) and L'Autre (1997). Exploring the historical context, two essays from historians Hal Foster and Jean-Marc Poinsot revisit the principle historical debates of the period in question. This publication is the result of a research project developed by the 16th Session of the International Curatorial Training Program of Le Magasin, Grenoble-Francois Aubart, Julija Cistiakova, Haeju Kim, Lucia Pesapane, Fabien Pinaroli, Karla G. Roalandini-Beyer, Yuka Tokuyama, and Sadie Woods-under the editorial direction of Florence Derieux. Le Magasin-Centre National d'Art Contemporain de Grenoble, in collaboration with the Department of Curating Contemporary Art, Royal College of Art, London.